Wayne has been fishing since he was old enough to walk. As a youngster, he fished a lot of small lakes and farm ponds. He learned tournament strategies fishing on the Gasconade and Osage Rivers, and has fished many tournaments in the Midwest. Together with his brother Roger, Wayne estimates they have won 25-30 tournaments. He caught his biggest Lake of the Ozarks’ bass ever, 8 lbs 14 oz, on a fall jig pattern he made himself fishing a shallow dock. He has been building custom rods and lures for about 10 years, and is the owner of Fitz Fishing Tackle and Supplies in Osage Beach, Missouri. 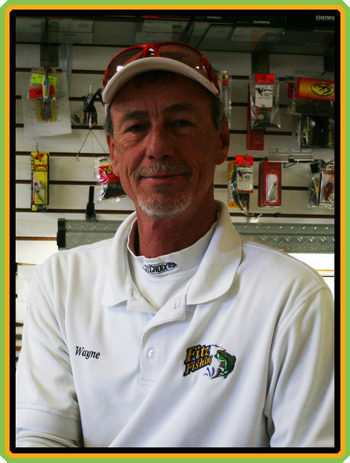 You can learn more about Wayne and Fitz Fishing Tackle and Supplies by visiting http://www.fitzfishing.net.